Session 1: Nov 8, 1:30-3pm. Fabric selection. If you've been in our classroom, you've seen Betty McNeill's quilts. Her color choices and fabric selection are always impeccable. Betty and Annette will offer pointers on what to avoid and what to look for to choose the perfect fabrics for your quilt. Session 2: Dec 6, 1:30-4:30pm. Embroidery. 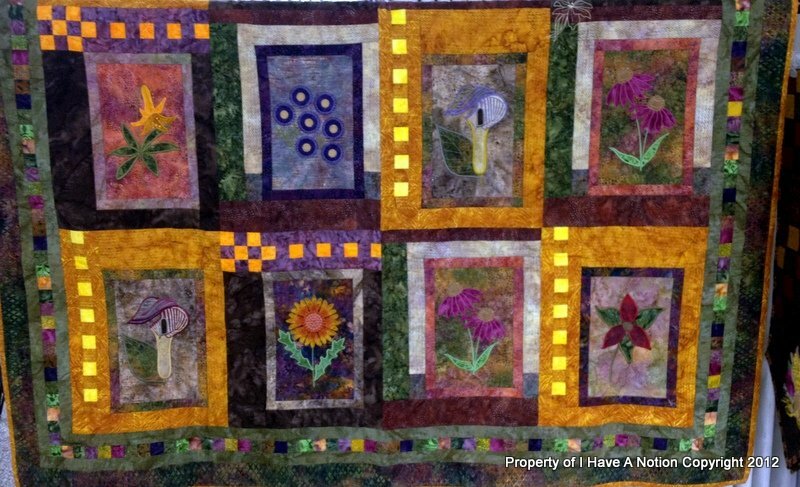 Using the fabrics you've chosen for your quilt, during this class you will applique (using your embroidery module) one (or two if time permits) blocks. During the weeks following this class you will construct enough blocks to complete the quilt in the size you want. Session 3: TBD. Assembly. In this class you will begin to assemble the quilt top.